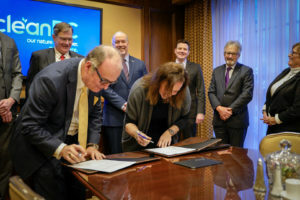 In a international breakfast meeting with British Columbia Premier John Horgan, the CleanTech Alliance and Foresight Cleantech Accelerator Centre took a big step towards international cleantech cooperation, hetwo organizations have signed a memorandum of understanding. 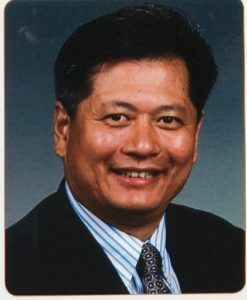 Chris began his first term on the CleanTech Alliance Board in January 2019. 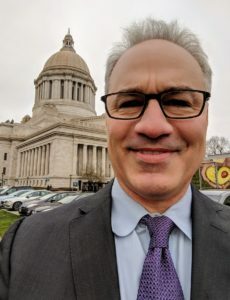 CleanTech day in Olympia 2019 was a huge success! Thanks again to our sponsors, Boeing and Snohomish County PUD, and to all our attendees. We had a packed room with nearly a hundred advocates. 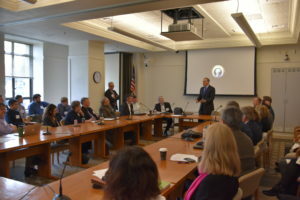 Governor Jay Inslee kicked off CleanTech Day by speaking to us about the role that cleantech innovators are playing in combating climate change. We were also happy to hear the Governor emphasize the importance of the Clean Energy Fund, and the role it will have in driving a paradigm shift in innovation. 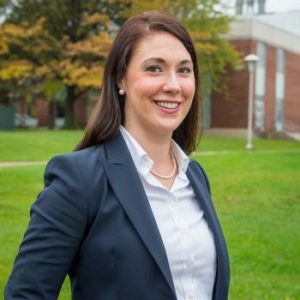 The Governor advocated a broad cleantech agenda including legislation that would provide for cleaner fuels.